2014 is now over, and that means that it’s high time to see the old year out and the new year in. Let’s have a quick look at what was going on this year and check forecasts on what will be trending in the next year. Jake Rocheleau, web designer and social media entrepreneur, collected the most propagated design trends for 2014 in his article. According to Rocheleau, minimalist flat design is still popular because it is easy to design and use. Fullscreen responsive background became trendy this year since it can scale naturally with the browser. Mobile responsive navigation is another trend this year, and this trend will persist. Among the worst trends of this year, Rocheleau mentions modal window promos, as they are annoying and have the same effect as pop-ups. Another thing that you must avoid is overloading your site with social media. If you have too many sharing badges for too many social networks, it is confusing. Preloaders and customized scrollbars are also elements not worth using in 2015. WordPress remains the most popular CMS in the world, covering around 23% of websites, and will continue dominating the market for at least the next year. One of the reasons for their success is that they are constantly evolving. 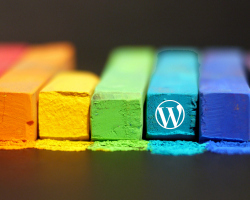 This article studies the most remarkable WordPress releases and features throughout 2014. The main focus of WordPress 3.9 “Smith” was on improvements to the WordPress Visual Editor and media capabilities. Now you can have media lists and drag-and-drop images directly into the visual editor. WordPress 4.0 “Benny” contained no significant new features, just some minor updates and fixes. According to the author, one of the main focuses for 2015 will be to make working with media files easier. Hopefully, WordPress will finally start to update itself automatically, like Chrome or Firefox. This would help to keep all sites as secure as possible. Moreover, since the whole world is moving towards globalization, WordPress would need a better support for international sites by providing more tweaks for non-English-language users. There are plenty of CSS front-end frameworks available on the market. Each framework has its strengths and weaknesses, as well as specific areas of application. Here is an article about the TOP 5 front-end frameworks in 2014. This rating is based on their GitHub popularity, and the TOP 1 is, of course, Bootstrap. 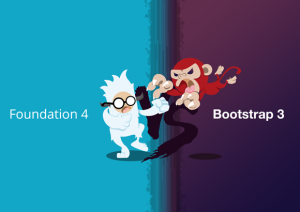 Initially released in 2011, Bootstrap is the undisputed leader among frameworks for the moment. It’s hard to tell whether it is technically better, but its main strength is popularity, which means lots of educational resources, manuals, articles,third-party extensions and plugins.The second popular framework is Foundation, and the next one is Semantic UI framework, which utilizes natural language principles. Thanks to this feature, its code is easy to read and understand. Another framework mentioned in the article is Pure, a lightweight modular framework by Yahoo! and written in pure CSS for those who need only specific components instead of a full-featured solution. Last but not least is UIkit, an easy-to-customize set of components written by Yootheme. The article also contains several tips on how to choose the right framework for your needs. Briefly summarizing a framework should be popular (it usually means lots of tutorials, samples, third-party extensions, etc.) and under active development to keep up with latest web technologies. This year, Google changed their logo a bit. The changes were so slight they were almost invisible. They moved the “g” one pixel to the right and the “l” one pixel down and right. The community says it was done to solve a problem with the kerning of the letter. You can compare “before” and “after” here. Not sure if they really solved the problem, but at least they can be nominated for the subtlest change ever done to a logo. It’s important to keep track of current web design trends. However, if you want to outperform your competitors, you have to learn to predict and forecast upcoming trends. Let’s have a look at what the community suggests as the most trending things for the next year. Responsive design can still be considered as a trend, but it’s more like a norm now. Ghost buttons are minimal and stylish, and perfectly suited for fullscreen backgrounds. The author says they will gain more popularity this year, along with large background images and videos. More attention will be paid to typography this year. That’s because type kits became more affordable and do not require larger budgets for website development. At the same time, they allow building really nice websites. Scrolling over clicking will obviously be more and more popular. The reason is with the development of the mobile world, more and more people want to have the same experience on their desktops. Card design will continue, as cards are a clean and simple way to present information. Flat design may remain trendy or grow up into material design, which was introduced by Google this year. Micro interactions in form of pop-ups will continue to grow, as well. Then, there is Personalized UX – this is what we already have on Youtube, for instance, where Google displays more relevant content using our cookies. The idea itself is not new, but more and more websites will adopt it. This year, the W3C officially launched HTML5. 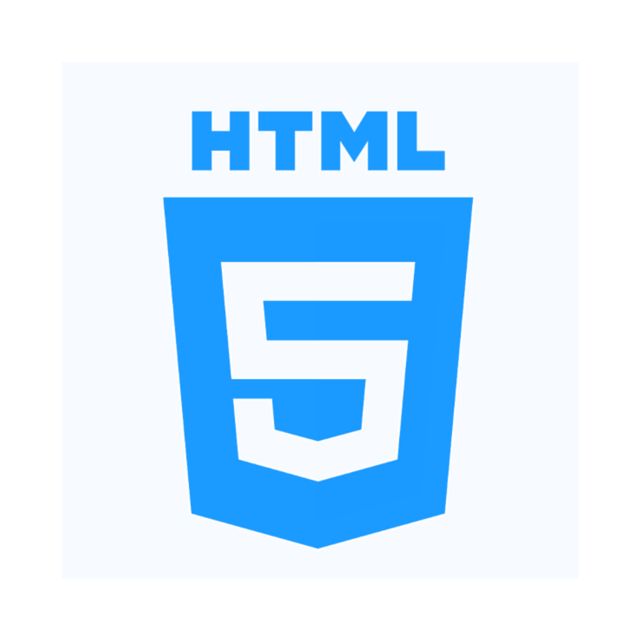 However, they are always on the move, so moving forward to the sixth revision of HTML will not be long. 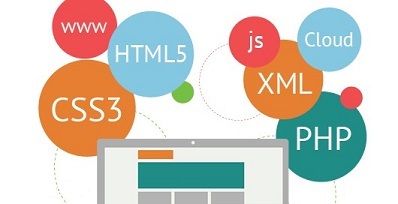 HTML6 will be more than just creating containers and assigning them IDs. The new language is planned to be more human-friendly and define containers and elements in a way convenient for you. This will be achieved via a combination of HTML and XML. In this new version, you will be able to create any tag you want and W3C will reserve and use namespaces that will call the required HTML APIs. There will also be the introduction of some new tags, like the <carousel> tag. This will help you implement carousels on your web pages in an easier way. Check out this article for more details on the upcoming changes. 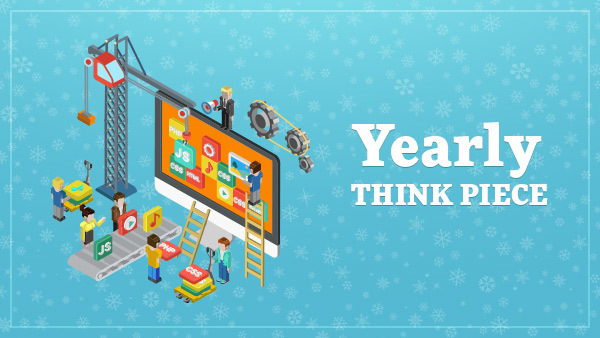 Shiju Varghese shares his observations on web development trends this year, and makes predictions for the next year. Since web development technologies are powering and affecting designs, this article will be useful for both developers and designers. Responsive web design is now a must-have feature, but it doesn’t solve all the challenges and is suitable more for content-rich website. In addition, if you have something more along the lines of a Web app with a lot of UI elements, you should still think of a mobile version. The mobile-first strategy dominates in web development, so APIs become a key component of Web apps. Since Mobile Backend as a Service (MBaaS) solution on the Cloud platforms have been introduced, they are becoming another trend of this year. The author believes that they will be used for both Web apps and Mobile apps in the future. Yet another trend is single-page applications. As for programming languages, dynamic languages like Ruby on Rails and Python become less relevant for Web development, and many apps initially built with these languages are now being re-engineered due to performance and scalability challenges. According to Shiju, the Go programming language will heavily replace dynamic languages, Java and Node.js soon. 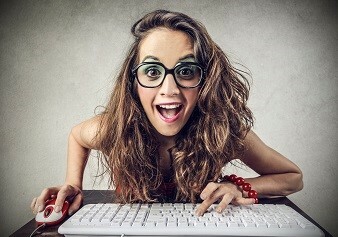 Don’t think you’ve completed your website once and it will perform efficiently for many years. The Internet is an ever-changing world; smart entrepreneurs monitor web design trends and tweak their websites to meet ever-growing users’ expectations. If you don’t want your website to become out-of-date and lose customers in favor of your competitors, check these 10 tips for re-design of your website and start implementing them. The author writes that content is the king like never before, so you should pay special attention to it. SEO is still not dead, so it is still worth making your website SEO-friendly. An attractive logo and catchy tagline will help your visitors remember your brand and improve brand awareness. Make the navigation on your website as easy as possible and don’t make your audience think. If you don’t want that your visitors to leave your website and go to your competitors because then had no time to wait for your page loading, be sure to optimize your page-load speed. Blog management is one of the most promising methods of your website promotion, so set up a blog (if you don’t have one) and don’t forget about RSS tools. The last, but probably one of the most important, tip is to measure the performance on a regular basis. If you are a web designer and your designs sell the products of your end-customers well, this is your added value and your competitive advantage. Although UX is not rocket science and it’s just about common sense, there are lots of specific processes, tools and techniques that will help you create such designs. Adham Dannaway introduces his TOP 10 UX design books to help you improve your efficiency and increase your value in the eyes of your customers. Some of the books listed are intended for newbies and explain UX basics, and several books deal with UX life-cycle processes and methods. It’s interesting that Steve Krug, with his Don’t Make Me Think is still there. Speckyboy editors have published their 50 favorite CSS resources. The post is huge and contains the most useful CSS resources, tools, libraries, UI kits and frameworks that have been released this year. For more convenience, the resources are categorized into several sections. Enjoy the list and get the most out of it. Trim your sails to the wind and read our blog in 2015. We’ll work hard to keep you in the loop. Happy New Year!